I came across a new health and fitness iPhone app today. I am seeing more and more of these pop up recently and I can only presume it is because it is summer and people enjoy being outside, working out, etc. In any case, the app is called “iHeartRate” and of the health and fitness apps I have used, both reviewed and not, this one really takes things to the next level. As I was saying, iHeartRate takes health and fitness to a new level. The app has a heart rate monitor, a calorie burning calculator, and a profile area in which you monitor your body fat percentage, BMI, among other statistics. In other words, this app is for the serious health and fitness individual. 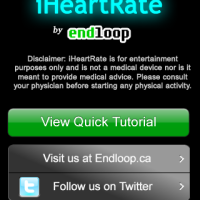 Once you start up iHeartRate, the first thing you want to do is run the tutorial. I find a tutorial to be a great feature in many apps as it really eases the learning curve. The tutorial in this case is very brief and gets you up and going in no time at all. After you finish with the tutorial, you want to fill in your Profile. Your profile asks for information such as your age, height, weight, and gender. 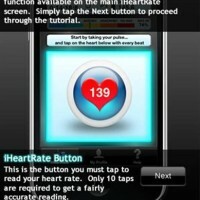 It also asks you for your resting heart rate and I like the way the app gathers the heart rate information. 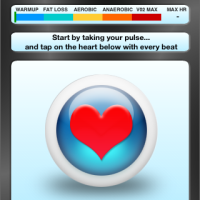 To get that information, you check your own pulse with one hand and with the other hand, you tap on the “heart” on the screen in sync with your pulse. You tap it 10 times so the app gets an accurate reading and the result is saved to your profile. Then you move to the Heart Rate area of the app.Â This is where all the information you put in your profile comes together. Again, you begin by taking your pulse in the same tapping-the-screen method as you would have done earlier in the profile. 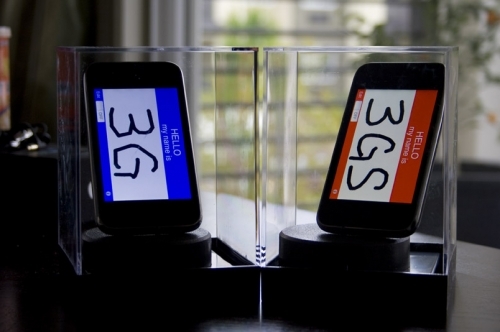 At this point, you may begin your workout and update your heart beat rate in the app whenever you want. 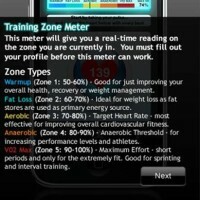 After an update, along the top of the app is a Heart Rate training zone meter that will move indicating to you in what type of workout “zone” you are in. 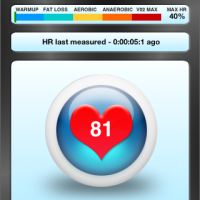 Overall, iHeartRate does a fantastic job in keeping track of your workout statistics. The only user input that is required is the initial profile creation that takes a few seconds and updating your heart beat at your convenience. iHeartRate is on sale right now for 50% off, so you can pick up iHeartRate in the iTunes AppStore for $0.99 until June 22, 2009. Let me know in the comments below how this app works out for you or any other apps you have used that you like for health and fitness.